Education leaders face demanding, accountability-driven environments where constant change and new challenges have become the norm. To thrive in this new paradigm, successful districts have embraced a philosophy of continuous improvement and innovation. Studer Education’s Evidence-Based LeadershipSM model is a continuous improvement framework centered on research-based best practices that help school districts and colleges create cultures of excellence where students and staff achieve outstanding results. Our approach is to engage with governance boards, superintendents / presidents, and campus and department leaders to provide coaching and support through this transformational goal-and-action-alignment process. 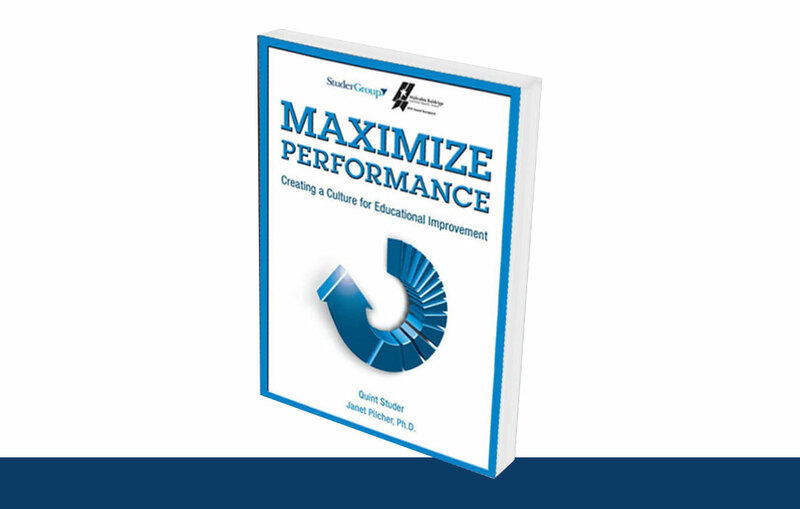 The Studer Education team is focused on helping education leaders achieve results that last by coaching around a continuous improvement framework to increase student achievement, employee engagement, parent satisfaction, district support services, and financial efficiencies. Apply the Evidence-Based LeadershipSM K12 Framework in your education system, including all departments and campuses. Administer our stakeholder surveys and receive reports, analyses, and recommendations in the areas of employee engagement, parent satisfaction, district support services, and student engagement.